TubeMate is a video download application for YouTube and other video streaming platforms. TubeMate is simple to use and represents a valid application to have absolutely on your Android device. Today I will explain to you how to download videos from YouTube and view them offline using the free app for Android TubeMate apk. Downloading videos from these sites will no longer be a problem and you will be able to see them offline and without limitation, of course after downloading them on your device. 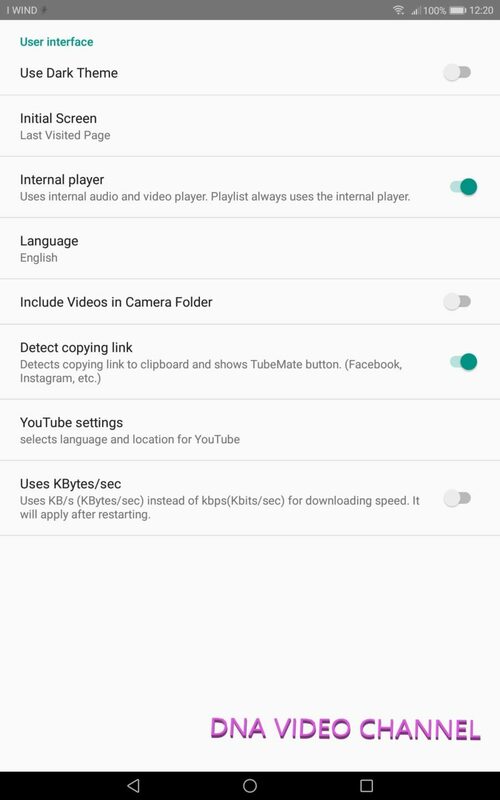 TubeMate is an application for Android, if you want something like that for your PC you can read the article JDownloader 2 – Retrieve downloads and download from streaming video. 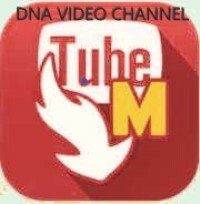 Let’s see in detail how to install and use the TubeMate app. TubeMate is not currently downloadable from Google PlayStore, to install it you will have to download its APK that you find on the Official website of the application. You can choose one of the links on the page that will be presented to you. Once the download is finished, start the installation of TubeMate by clicking on the file you just downloaded, which will be proposed in the Android notifications section. I will often have seen it used during my guides; simply go to the download folder on your device. Being an apk and not the classic app on the playstore, your device must allow the installation of applications from unknown sources. To do this, go to the security section of your Android and verify that the check “Unknown sources” is active. Congratulations, you were able to install the TubeMate apk on your Android device. Now let’s see how to use this powerful application instead. Once started, TubeMate will present itself with the classic YouTube browser. You can search for your favorite videos, as if you were on the YouTube app, so you can for example use the search button to find a specific video or your favorite channel. For example, as you can see in the figure below, I searched for my channel on YouTube. And among the videos on the channel, I selected one of my interest. At this point, on TubeMate, you can watch the video as you usually do, or download it using the button at the bottom left near the <> keys. TubeMate will propose you in which format you want to download the video or if you prefer, download only the audio of the same. The choice between video or audio only depends on the use you want to make of it. In both cases you will have different possibilities to download the file with different quality and size depending on your choice. Naturally the higher the quality, the more space is occupied on your device. In the case of example of my video, you can see that its download weight 19.3 MB at the maximum resolution of 1280 x 700. After choosing the desired format, the download will start and in the Android notifications section, you will see the progress of the download status. As soon as the video download is finished, you can view it this time in offline, or on the same TubeMate app, or using any file manager such as ES File Explorer. In this second case you will have to move to the folder where the file was downloaded and plug it for start displaying it. 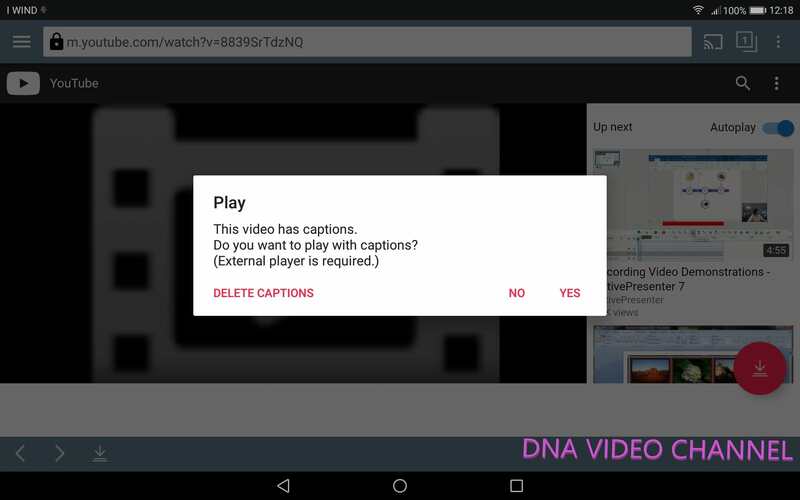 If the downloaded video contains subtitles or other captions, TubeMate will warn you of the need to start an external reader. In case you are not interested in seeing additional captions, you can delete them and continue viewing the video without them. As anticipated in the introduction, TubeMate does not allow you to download only from YouTube, but also from many other video streaming sites. To change the streaming platform, click on the menu button at the top left. A new screen will open from which you can select the desired platform. Choose your preferred platform from those available and TubeMate will immediately change interface allowing you to download from the new source. Now let’s see what configuration options TubeMate offers us to customize our installation. To enter the configuration section, you need to click on the button at the top right. The opening screen will appear, unless updated, as in the figure below. The first two parameters of this screen allow you to set the folders where video and audio will be downloaded. This goes back to what was said in the download section, as with your file explorer, you have to go into these folders to start playing the video from outside TubeMate. Immediately after we find the advanced options of TubeMate. From this section we can access three other settings sections: Download, Convert and User Interface. In the download section we find the settings concerning the video download. Notify with sound. Enable TubeMate to signal the end of the download with a sound. The next section “Convert” concerns the configuration for saving the video. The options in this section relate to the quality of the video and parameters that allow for faster conversion and therefore storage of files. Finally, the last section concerns the TubeMate user interface. Initial screen. Allows you to define on which screen TubeMate should be reopened after a reboot. For example, you can set the last page visited or a default screen. Internal player. Use the internal player for viewing videos and listening to audio files. Language. The choice of language used by TubeMate. Include videos in camera folder. If active, videos will be downloaded to the camera folder. Detect copying link. It allows you to automatically display the TubeMate download button if the user makes a copy to the clipboard. It can be annoying if you are copying links that should not be opened by TubeMate. YouTube settings. From this sub-section you can configure the language and other parameters of YouTube. Use KBytes / sec. By default the downloads are displayed in kbps. With this setting instead it is possible to display the download quantity in KBytes / sec. TubeMate is a fantastic application that does exactly what it was born for and does it really well. 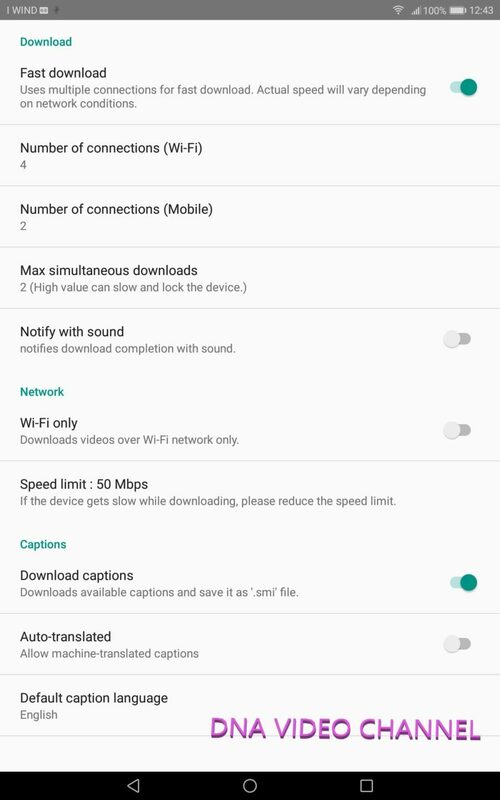 Simple to use, not too heavy and the ability to download even from non-YouTube streaming platforms, makes it an app to have on your Android device. Only flaw that I can find and the absence of the same from Google PlayStore. The apk installation is often seen as something unsafe. Anyway, it’s free, so download it and tell me what you think. If you liked the article, share it with friends and subscribe to my social pages and my YouTube channel. Your support is the reason why I keep writing on this blog.